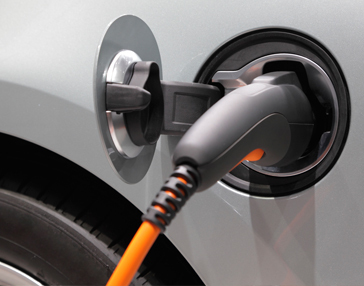 California Vehicle Survey and Vehicle Choice Forecast | Resource Systems Group, Inc.
To reduce both petroleum dependence and the social cost of transportation in the state, California has advocated a strategy of promoting alternative fuels and alternative fuel vehicles. The California Energy Commission (CEC) developed a model called DynaSim to predict the potential demand for alternative fuel vehicles and to forecast future transportation energy consumption in California under a variety of different scenarios. In addition, as a full vehicle demand, choice, and use model, DynaSim allows an analysis of other measures designed to reduce the social costs of transportation, such as fuel and vehicle miles traveled (VMT) taxes and accelerated vehicle retirement (scrappage) programs. The DynaSim model is updated at regular intervals to refine the forecasts of vehicle demand, choice, and use. Included in the updates are new vehicle technologies, incentives, or policies that may have recently become available. New data on consumer preferences and behavior are required to support the periodic model updates. RSG has been supporting CEC in the model development and forecasting since 2001. The initial work developed new survey approaches and better models of household and commercial vehicle choices. Nested logit models represented choices among different vehicle types and fuel types. RSG also tested alternative model structures such as crossnested logit and assisted CEC in its work to convert its FORTRAN-based CALCARS vehicle simulation model to the current MATLAB-based DynaSim. Recent work with CEC includes design and administration of a large-scale stated and revealed choice survey of residential and commercial vehicle owners and development of new vehicle choice models. The survey includes a supplemental sample of current plug-in electric vehicle owners and exploration of response to future autonomous/self-driving vehicle options.